When pool care is as effortless and effective as this, it’s hard not to fall in love all over again with your pool. 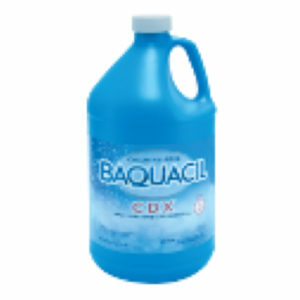 After all, the benefits of the BAQUACIL CDX® Pool Care System are practically infinite. 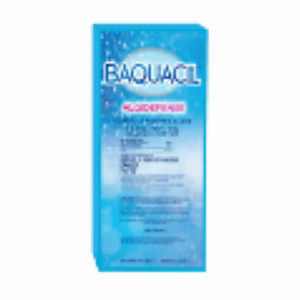 It starts with the chlorine-free formulation that’s less irritating to eyes and skin than chlorinating products, and it’s less harsh on swimsuits and pool liners. 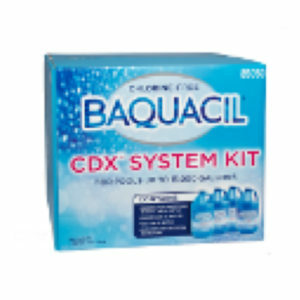 What’s more, the BAQUACIL® CDX® system keeps water clear, silky and soft, and most of all, it’s easy to begin and maintain. But don’t take our word for it; just ask us, your Authorized dealer – the pool care pros that are trained to recommend the best products to suit your pool and your lifestyle. In the meantime, check out the 3-step system below. Click here to view a video on the BAQUACIL CDX System. Every pool care regimen is supported by basic, but vital, building blocks that support a sound maintenance routine. 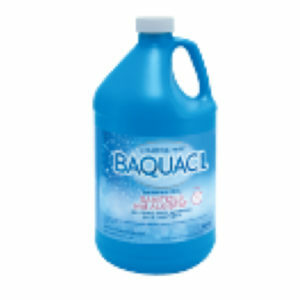 With BAQUACIL’s® Core Products, you have access to foundational items needed to get started and keep your pool crystal clear all season long. Here, you can browse through the main products most pool owners will need. You can also talk with us for recommendations on the best choices to suit your pool. Available sizes: 1 gal. / 1/2 gal. 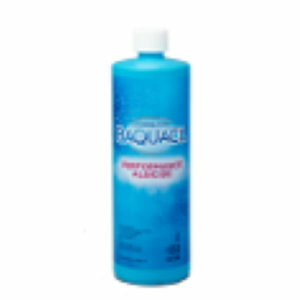 BAQUACIL AlgiDefense algistat is a long-lasting algae preventative technology developed for pools treated with BAQUACIL products. 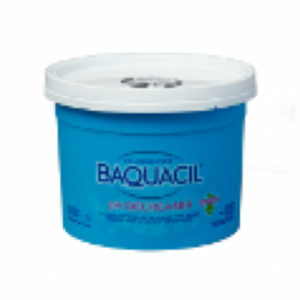 One simple monthly application controls the growth of mustard algae in BAQUACIL treated pools. A specialized algaecide used to remove existing algae growth in BAQUACIL pools. Excellent formula for persistent, recurring algae. Not for use in chlorine pools. Like any well-oiled machine, your pool will run at peak performance when your water is balanced. 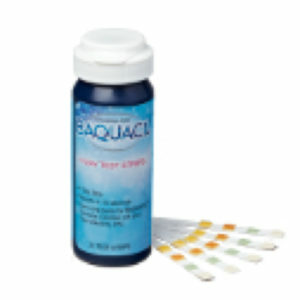 BAQUACIL® brand offers a full suite of balance products designed to help you keep chemical levels in check with everything needed to address pH, total alkalinity and calcium hardness – all within the proper range. Talk to us for recommendations on the best choices to suit your pool. Available sizes: 3.5 lbs. / 9 lbs. / 16 lbs.. 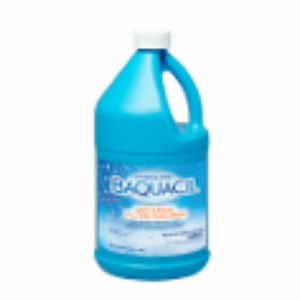 Designed to help restore water clarity, control metals, clean filters and surfaces, and much more, BAQUACIL® brand’s full suite of support products offer multiple solutions to common pool care issues. 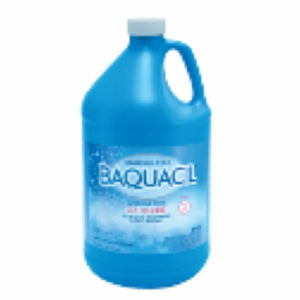 You can browse through the products here and talk with your Authorized BAQUCIL® Dealer for recommendations on the best choices to suit your pool. Strong chelating agent that deactivates dissolved copper, iron, and other heavy metals that can affect water clarity. 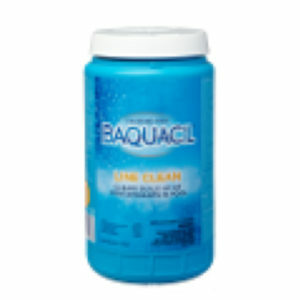 A strong and effective cleaner for all types of filters. Use twice a season to ensure good water quality and optimum filtration. 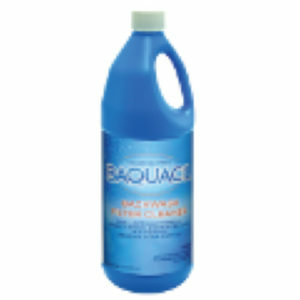 Dissolves and removes collected debris, scale, oils, and organic waste from all filters. Quick cleaning action with no soaking and no waiting. Effectively removes organic and inorganic buildup and cleans the sand particles as you backwash. Great results with no hassle. 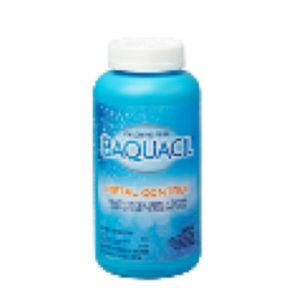 Click here to view a video on BAQUACIL® Backwash Filter Cleaner. An iron-free aluminum sulfate compound used to treat persistent haze. 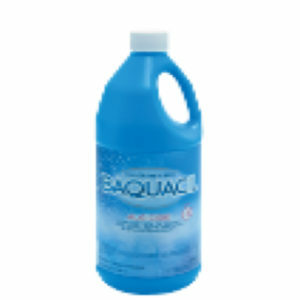 Used for years by municipal water authorities, this product treats cloudy conditions and clarifies swimming pool water. 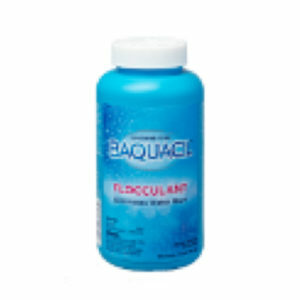 A fast acting liquid flocculant that will not affect water balance. 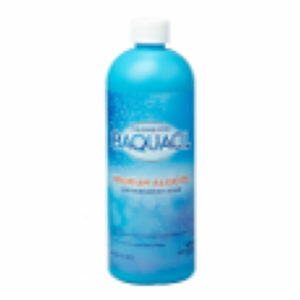 Helps remove dead algae and various suspended debris that contribute to cloudy water. Easy to vacuum. 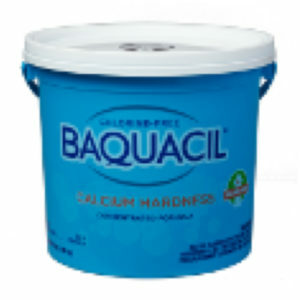 Excellent new product! Use to clear the lines and pool of contaminants that can contribute to recurring cloudy water conditions. 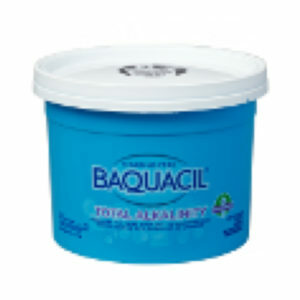 A highly concentrated gel to remove metal stains, oil, scale, and dirt both above and below the waterline. 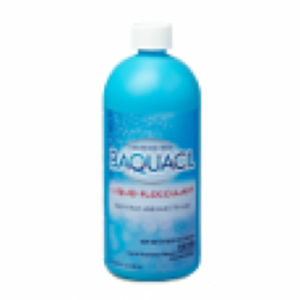 Cleans all types of pool and equipment surfaces. Can be applied directly to pool brush head for underwater cleaning and leaves no residue.